Timeguard has done it again and come up with another great idea to put people in the driving seat when it comes to controlling their energy use. The latest addition to the Timeguard range are unique single-gang devices that combine the 13A fused spur with energy-saving electronic time control. They are a direct replacement for, and improvement on, ordinary fused connection units. Wherever you need an F.C.U (fused connection unit), it makes sense to provide the added benefit of “energy-saving time control” with the flexibility of push-button manual over-ride and programmable On / Off times. By taking advantage of new technology developments, these new designs provide larger and clearer back-lit screens, intuitive and logical programming, with plain-English text prompts, and clear LED indicators for both mains power and timed on/off status. 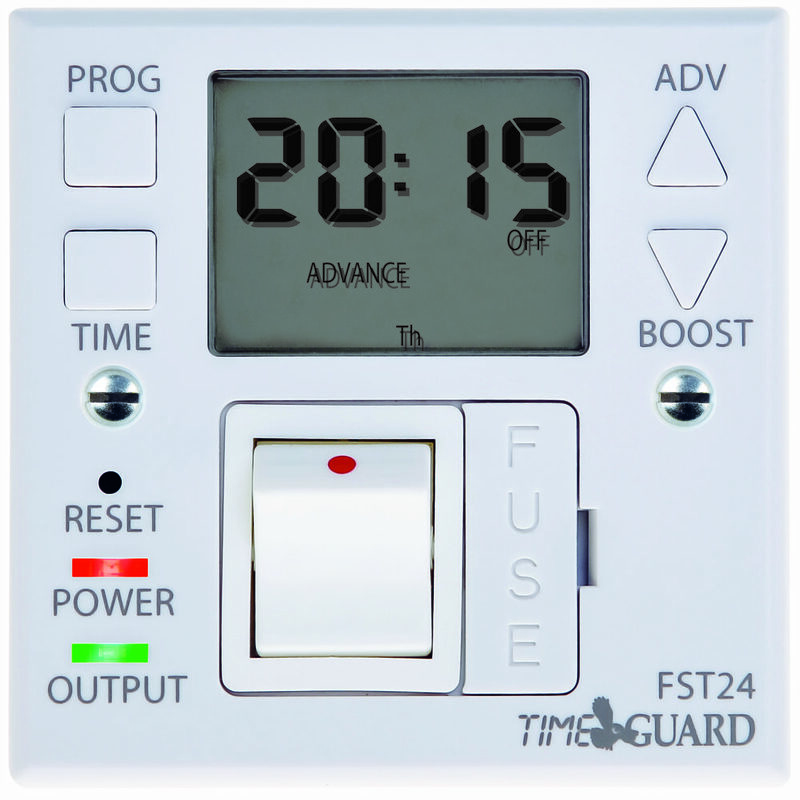 In a world where style and design in electrical accessories are increasingly important, the Timeguard fused spur timers are attractive enough to feature on any wall, where the large displays and on/off indicator lights make programming easy and clearly show the user if power is on or off. Naturally, users can over-ride the programme to switch On or Off at a different times whenever required and at the push of a button. A useful Boost button gives an extra 1 hour or 2 hour supply for hot water tanks, heaters, office and household equipment etc., with the reassurance that the supply will always switch off again automatically and the devices will revert to their programmed timing. These units are covered by a Timeguard 5 Year guarantee. With safety and energy efficiency at the top of any occupier, landlord or employer’s mind, Timeguard has also introduced a 13A fused spur with an electronic Boost Timer that automatically turns appliances off after a pre-set time. As with the fused spur timeswitch, it’s all encased within a single gang F.C.U and fitting within a 25mm back box for easy installation. Users simply press one button to select how long they want the power On for: 15 minutes, 30 minutes, 1 hour or two hours, and then the device counts down and switches off. Pushing the boost button again will refresh the timed output. There’s no danger of people leaving appliances such as heaters, fans or towel rails switched on for hours on end.